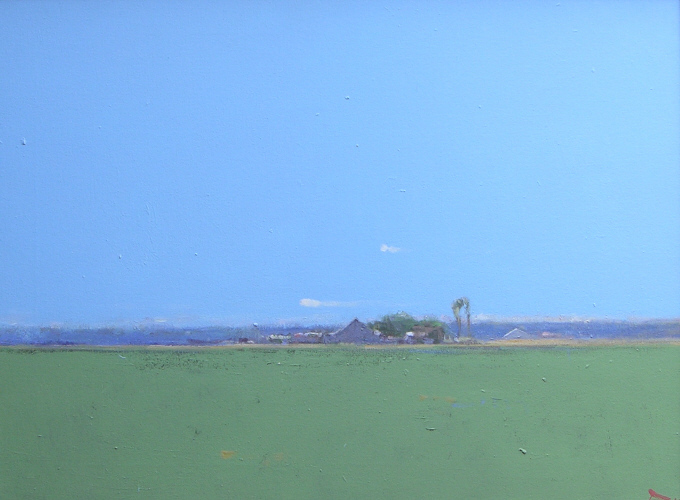 A perceptive observer of his environment, Terry DeLapp is a modern-day Tonalist, recognized for his evocative depictions of the central coast of California. His choice of motifs--the farms and ranches of the Salinas and San Joaquin valleys, the green hills of Cambria and San Simeon, and the luxuriant flora of the region--reveals, as he puts it, his "love and concern for the land and what is on it." Born in Pasadena in 1934, DeLapp studied at the Chouinards Art Academy in Hollywood and at the University of California. From 1959 to 1992 he operated the Terry DeLapp Gallery in Los Angeles, the first gallery on the West coast to showcase nineteenth-century American art. 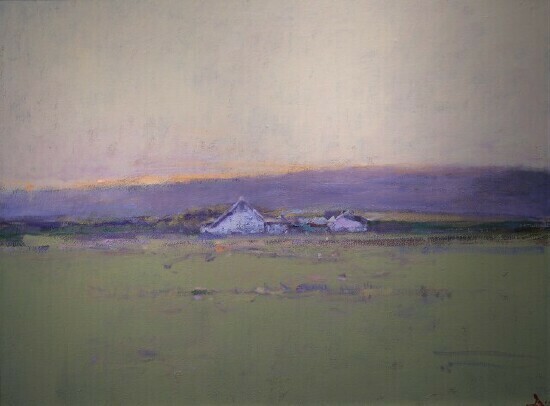 DeLapp currently lives and works in Cambria, California. He has been exhibiting his paintings since the early 1980s, participating in group shows in California, New Mexico and elsewhere. DeLapp has had numerous solo exhibitions as well, at the Bakersfield Museum of Art . His paintings can be found at the San Diego Museum of Art, and in many private collections, including those of Steve Martin, Martin Mull, Joan Rivers, Julian Ganz, and Martin Short.